Jennifer Mesko, Editor CitizenLink: President Barack Obama was greeted with a mix of protests and cheers as he gave the commencement address Sunday at the University of Notre Dame. Twenty-six of the graduates skipped the ceremony altogether, gathering on a corner of campus for a prayer vigil. Catholics around the world were outraged when the pro-abortion Obama was invited to speak. Longtime Notre Dame philosophy professor Ralph McInerny was among them. "Abortion is an essentially evil act, both from the viewpoint of natural morality and from the explicit teaching the Church," he wrote. "There is no way in which an individual, a politician or an institution can finesse that fact. 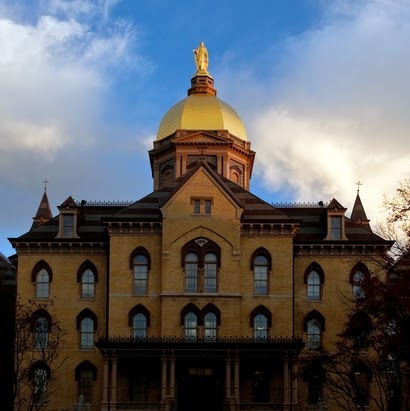 By inviting Barack Obama as commencement speaker, Notre Dame is telling the nation that the teaching of the Catholic Church on this fundamental matter can be ignored." Signed an executive order allowing taxpayer funding to go to international groups that promote or provide abortions. Opened the door for more human embryos to be destroyed for unethical stem-cell research. Began the process of rescinding the Bush health care provider conscience regulations. 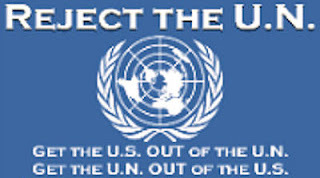 Lifted a seven-year ban on taxpayer funding of the United Nations Population Fund (UNFPA), which is linked to forced abortion programs. Tags: abortion, Barack Obama, CitizenLink, Notre Dame, pro-life, Right to Life, video To share or post to your site, click on "Post Link". Please mention / link to the ARRA News Service. Thanks! Let us pray. Almighty God, we pray that President Obama will repent of his misleading words, which he spoke while promoting abortion to a Catholic audience at Notre Dame University, by stating he wants to give doctors freedom of conscience to abstain from providing abortions. Meanwhile Obama’s deeds do the opposite, since he revoked without amendment President Bush’s executive order which had protected a doctor right of conscience. We pray from James 2:18, show me your faith without deeds, and I will show you my faith by what I do. In Jesus’ name, Amen. **Listen below! And call & ask your local Christian radio station to broadcast this 60-second prayer many times throughout the day on Monday, 25 May 09. ACTION ALERT! DON'T JUST PRAY, SIGN OUR FREE PETITIONS.Please sign PRO-LIFE PETITION to Notre Dame U. to stop honoring pro-abortion President Obama, and stop throwing pro-life leaders Alan Keyes and Randall Terry in jail for peaceful demonstrations.